US President Donald Trump and Russian President Vladimir Putin have labeled the talks as highly "successful," "productive" and essential for improving the ties between the countries. Vladimir Putin added that it was only a first step, although important. 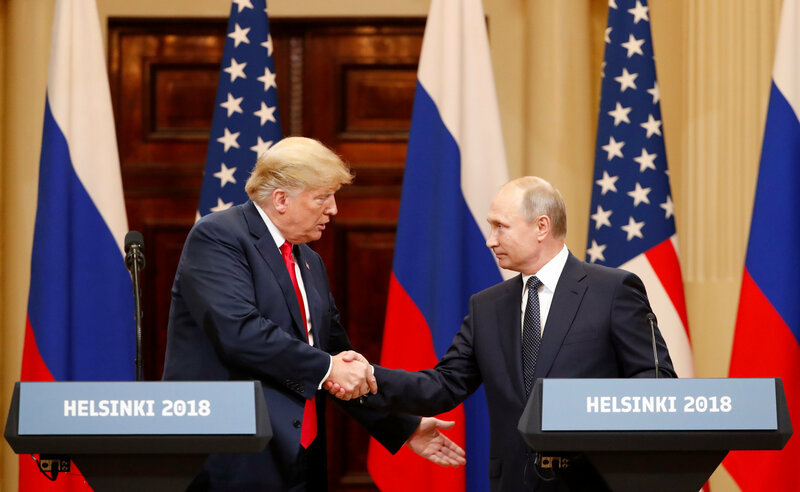 Trump and Putin have extensively discussed the current state of US-Russia relations and came to an agreement that there are "no objective reasons" for tensions between the two countries and that they must work together to resolve the problems that they face. "Our relationship has never been worse than it is now, however that changed as of about four hours ago, I really believe that," Trump said. When speaking about the reasons for the deterioration in US-Russia relations, Donald Trump noted that the ongoing investigation of special counsel Robert Mueller into alleged Russian meddling in the US presidential elections, launched at the behest of the Democratic Party, was a "disaster" that is largely to blame for this. At the same time, the US president added that he believed that both countries had been responsible for the deterioration. The US president added that both countries need to find ways to cooperate "in pursuit of shared interests" and expressed hope that meetings like the one in Helsinki would occur frequently. Both presidents extensively discussed the issue of alleged Russian involvement in the US elections in 2016. According to Trump, Putin strongly denied Russian meddling in the democratic process and shared "an interesting idea" on the matter. The US president emphatically stated that there had been "zero collusion" between him and Moscow and that neither of them knew each other prior to the US elections. He also suggested that Russia had no reason to meddle and said that he won due to his "brilliant campaign, not due to any collusion." 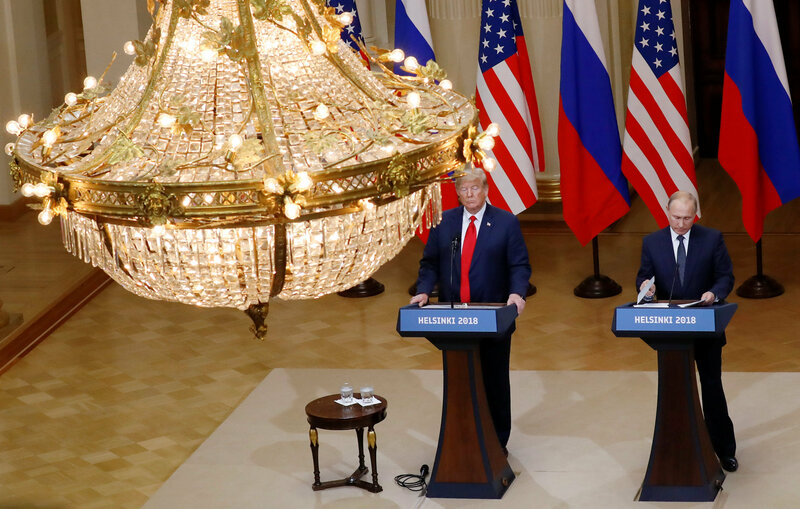 When asked about whether Putin has any compromising material on the US president, Trump stated that if that were the case, then Russia would have used it. Putin said that claims of Russian collusion with the Trump campaign are pure "nonsense." The Russian president went on to offer assistance to special counsel Mueller and his team, adding that if they would like to question the 11 individuals who were recently charged for hacking the Democratic Party's servers in 2016, Russia would be willing to assist in facilitating that. "President Trump once again touched upon the issue of the so-called Russian meddling in the US election process. I had to repeat what I have said many times, including during personal meetings with the president [Trump]: Russia has never interfered and is not going to meddle in US internal affairs, including in the election process," Putin said. When asked directly by a journalist, Putin admitted that he wanted Trump to win the election in the hope that he would normalize relations between Russia and the US. Among other things, the two presidents discussed cooperation between the two countries in Syria. The two leaders agreed that by working together, the US and Russia will be able to greatly help the Arab Republic reach peace and resolve its humanitarian crises. Specifically, Putin offered Russian help in delivering Western humanitarian aid to regions devastated in the war. "As we discussed at length, the crisis in Syria is a complex one. Cooperation between our countries has the potential to save hundreds of thousands of lives," Trump said. Both presidents also agreed to cooperate on reestablishing security on the Israeli-Syrian border according to the 1974 agreement. Trump noted that the US and Israel are already cooperating on the matter. Putin added that the militaries of the two countries have actively been cooperating in Syria in order to avoid incidents, saying that the cooperation has been highly successful. Donald Trump added that the Russian and American militaries "get along" better than their politicians. When asked about recent statements by the US president in regards to the Nord Stream 2 project, Trump said that the US is planning to compete with Russia in Europe, but noted that their positions on the market differ due to "location." He also called Russia a "good competitor," clarifying that it is meant as a complement. In turn, Vladimir Putin said that the two countries could cooperate in order to achieve stability on the world's energy market. He also commented on another issue raised in conjunction with Nord Stream 2, namely the fate of gas transit to Europe through Ukraine. The Russian president assured that Nord Stream 2 will not put it "at a disadvantage."